Two of the top SUVs on the market, the Jeep Grand Cherokee and the Ford Explorer, make up for some of the best of sport utility vehicles. At Great West Chrysler, we’ve taken the time to compare these vehicles, through performance and design features, showing you which one comes out as the pre-eminent option for you. Read on and learn how the Jeep Grand Cherokee gives you more options, power and style choices, from your premier Jeep Edmonton dealer! The Jeep Grand Cherokee offers a great selection of four engines to choose from, while the Ford Explorer lets you pick between three choices. The above chart represents a similar comparison between the two, but nowhere near the height of power. Ultimate performance out of the Grand Cherokee is found in the 6.2L Supercharged V8, available on the Trackhawk trim, which pumps out 707 horsepower and 645 lb-ft of torque. The Ford Explorer can only muster 365 horsepower and 350 lb-ft of torque out of its 3.5L EcoBoost® engine. 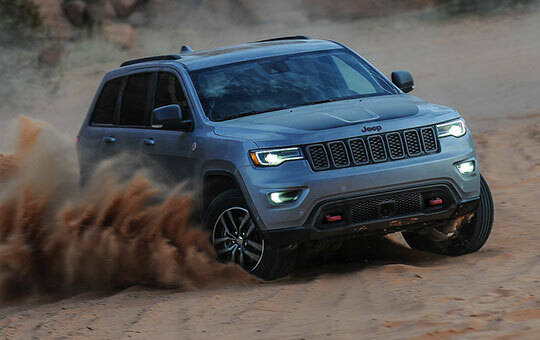 For more choices and more power out of your engines, the Jeep Grand Cherokee makes a clear winning case. Both SUVs are beautiful creations, highlighted by their own unique grilles, but only the Grand Cherokee balances both luxury and performance design tenets to such a stunning degree. For whatever trim specification you desire, there’s a Grand Cherokee for that. The Summit trim is your ticket to Jeep luxury, with illuminated door sills, polished aluminum wheels and a top tier audio system. The SRT is a blacked-out SUV that acts as fierce as its darkened exterior presents. The Trackhawk represents the height of power, including accents like titanium pockets, yellow brake calipers and black chrome exhaust tips. No matter the trim, the Jeep Grand Cherokee is styled to your needs. If it hasn’t been made clear by now, we think the choice is pretty simple, the Jeep Grand Cherokee stands above the Ford Explorer. While similar in many aspects, the amount of choices, from trims to engines, in the Jeep supersedes what you can get out of the Ford, for maximum customer satisfaction in your SUV. Not to mention the price, the starting MSRP of the Grand Cherokee comes in at almost $2,000 cheaper, if you’re on a budget. 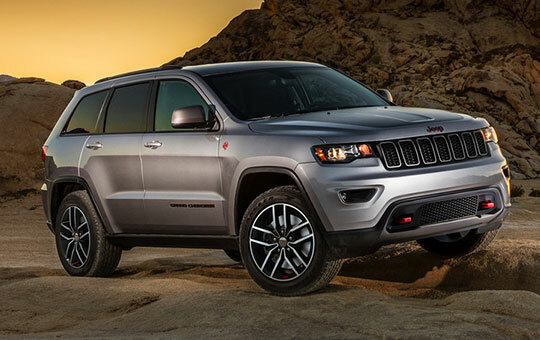 And if you’re ready to see how the Jeep Grand Cherokee rules in person, get in touch with us at Great West Chrysler. Our Jeep inventory at Great West Chrysler is massive and ready for you to browse. Get in touch with any of our respective departments, from sales to service to financing for more information.